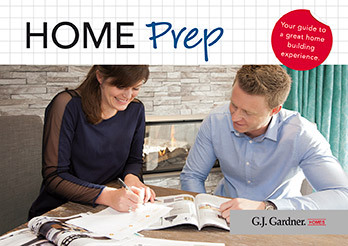 New Zealand's most trusted home builder. Again. We are proud sponsors of a variety of causes. When a family faces the weight of a child’s illness, the best thing they can do is face it together. Because families are stronger together. 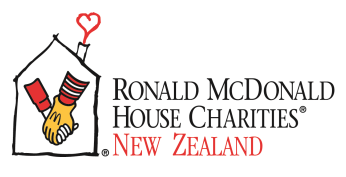 Ronald McDonald House Charities® (RMHC®) is New Zealand’s premier family charity providing free accommodation and support for more than 3,700 Kiwi families each year throughout their children’s medical journey. RMHC seeks to alleviate the emotional, financial and practical burdens families with hospitalised children can face, ensuring they are better placed to cope and help their children heal. Ultimately, RMHC keeps families close, when they need each other most. In stark contrast to the sombre and stressful atmosphere of the hospital ward, RMHC provides a “home away from home” creating a warm and comforting environment for families, with a wider support programme of services including an onsite school, gym, and library; family art classes; weekly shopping trips and excursions and meals cooked by volunteers. In order to provide such vital service to New Zealand’s families, RMHC relies on the support of the wider community. G.J. Gardner generously supports Ronald McDonald House Charities programmes in Auckland to help keep families together. For the past forty two years Auckland’s Westpac Rescue Helicopter has served the people of the greater Auckland area, with an aero-medical rescue service that is second to none. From its pioneering days as a beach based rescue unit at Piha beach, on Auckland’s notorious, wild west coast in 1970, to a fully-fledged service in 2013. The past two years have seen a major overhaul of the operation with a second Helicopter added to the fleet and a second hanger in Coromandel, opened last year. This service covers an area stretching from Waihi in the south to as far north as Wellsford and has a catchment area of some 1.9 million people. 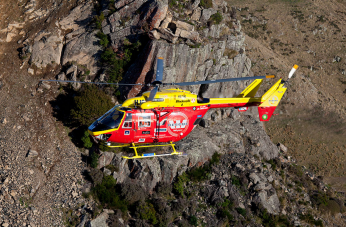 Over this period the service has completed some 15,000 accident free missions and it has evolved into New Zealand’s only full time, 24 hour a day, air rescue service. The type of work that the helicopter carries out, is as diverse as the geography and the people, with which it serves. In short this is a service which is available anytime, anywhere, to anyone. Big Buddy mentoring works on the simple philosophy that boys need good male role models in their lives to become good men. For many reasons, lots of boys in New Zealand don’t have a father and while mothers do a courageous job raising boys alone, they can’t model maleness. And above all else, boys learn through modelling. Little Buddies are aged 7-14 years, although many relationships continue well beyond that. More than 500 boys have been matched with a Big Buddy since the organisation was founded in 1997. Yet there are approximately 52,560 boys aged 7-14 living in solo parent families in New Zealand. Of these, a conservative estimate of 15% (7884) have no contact with their father. These estimates are based on 2006 Census data and overseas research. Big Buddy has offices in Auckland and Wellington and is striving to have a national presence to ensure they can benefit kiwi boys all over the country. To get an idea of the positive effect Big Buddy is having, in not only the young boy’s lives but also their mothers and the Big Buddies lives, just start reading the personal experiences under the news section of their website. Countless heart felt stories describe the genuine benefit that all parties receive when working with Big Buddy. 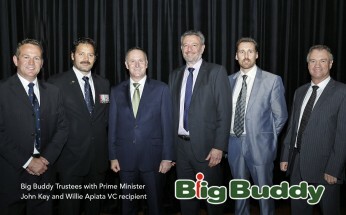 Big Buddy receives 10% of the funding it requires from the government. The remaining to be covered by donations, and charitable organisations and foundations including: Todd Foundation, NZ Lotteries, The Trusts, ASB Community Trust, and Lion Foundation. Big Buddy is a "Registered Community Service Provider" by Child Youth and Family. To learn more about what Big Buddy are doing, to donate, or volunteer, visit their website. At G.J. Gardner Homes, we are passionate about giving back to the communities who support us. Part of this means that our local G.J. Gardner offices also sponsor numerous good causes in their local community. Everything from local Kindergartens and Schools; Sports Teams, Gyms and Clubs; Surf Lifesavers, Hospice, Rotary Clubs, Lions International and SPCA; as well as local events and festivals. It is a feeling of social responsibility and really enjoying giving back to the communities that our businesses have grown in. To find out more about our individual franchises' sponsorships visit their individual 'About Us' page on our website.